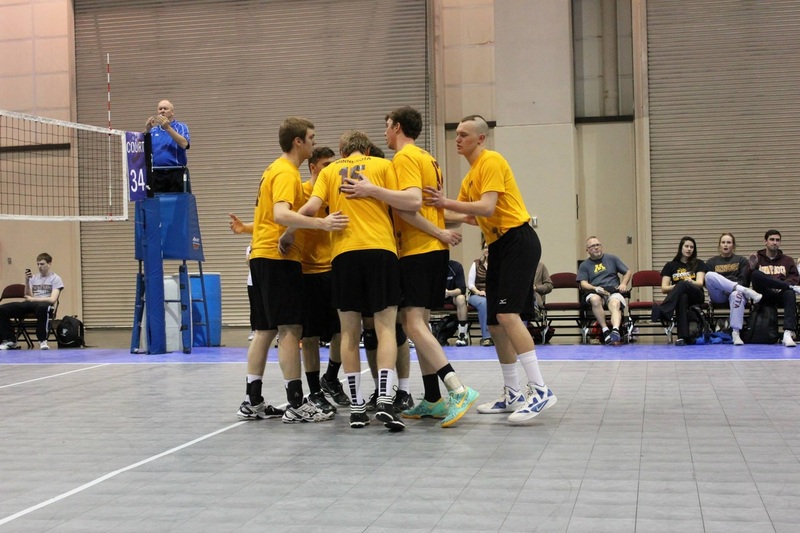 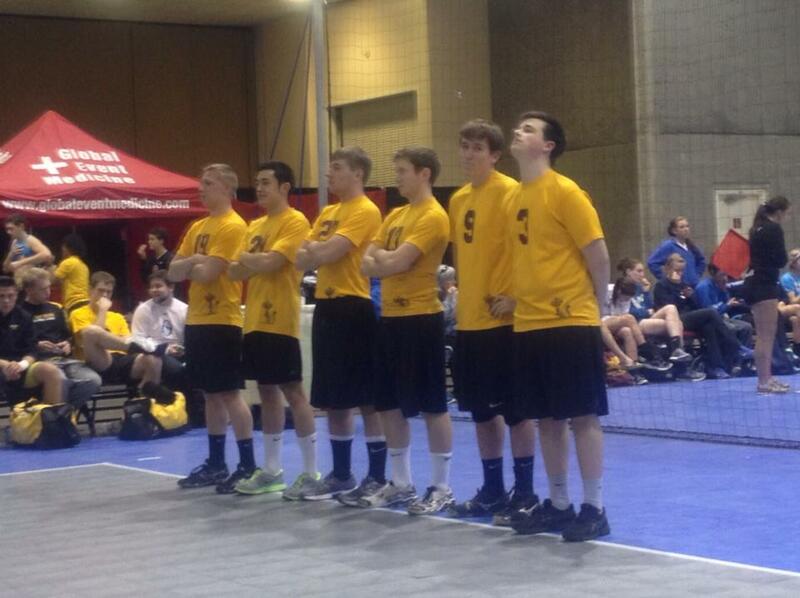 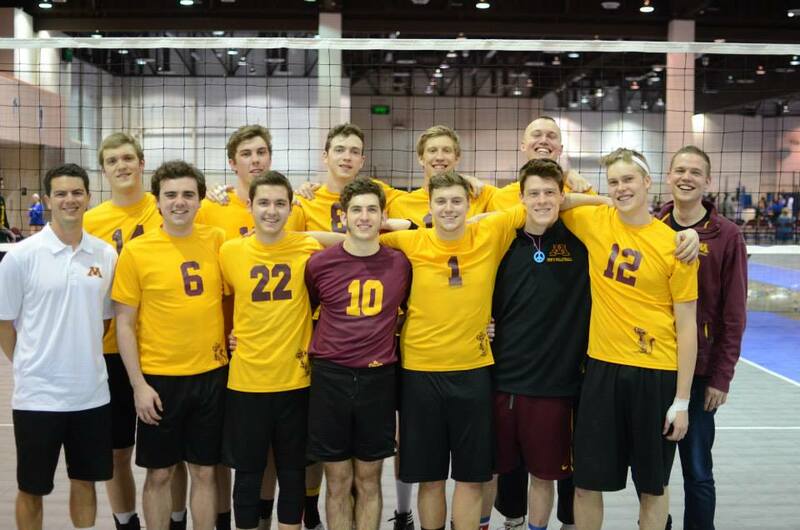 The B Team primed and ready for NCVF Nationals. 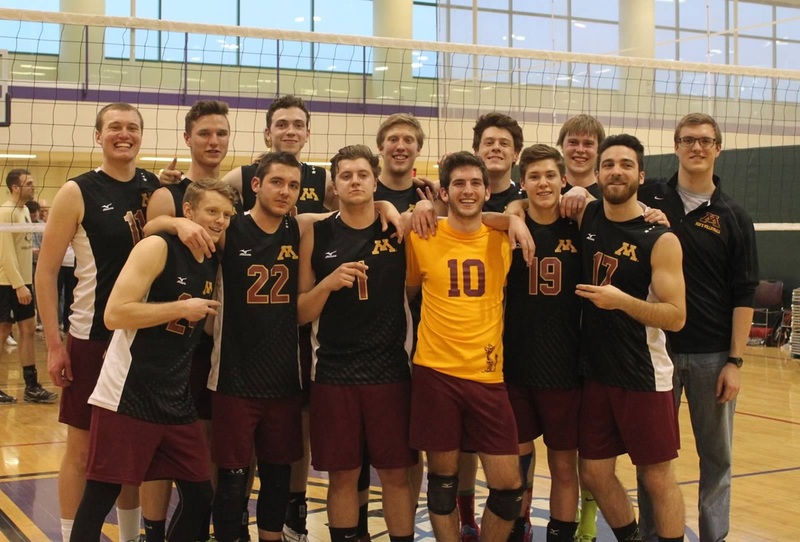 The Gophers meet in the middle. 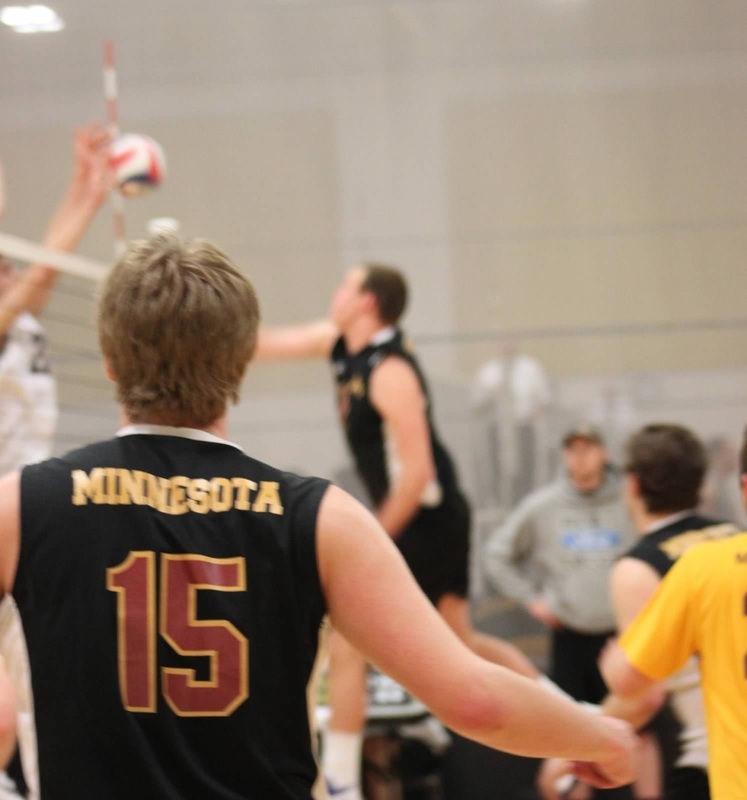 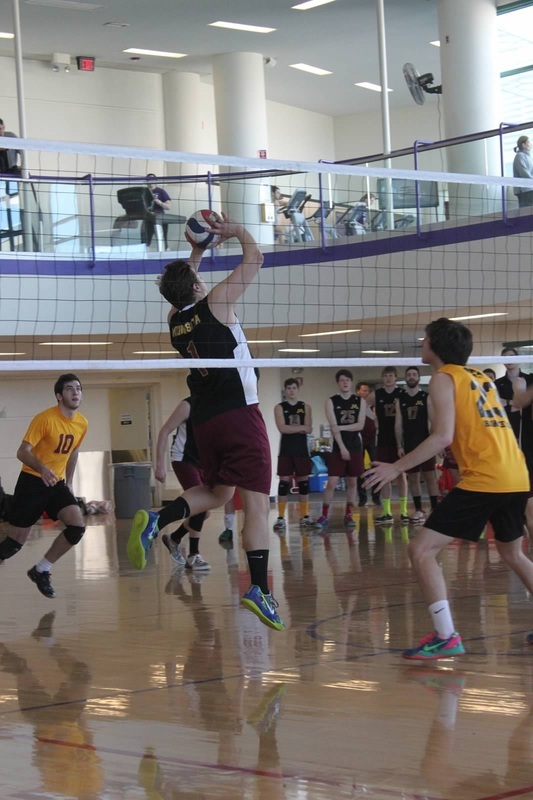 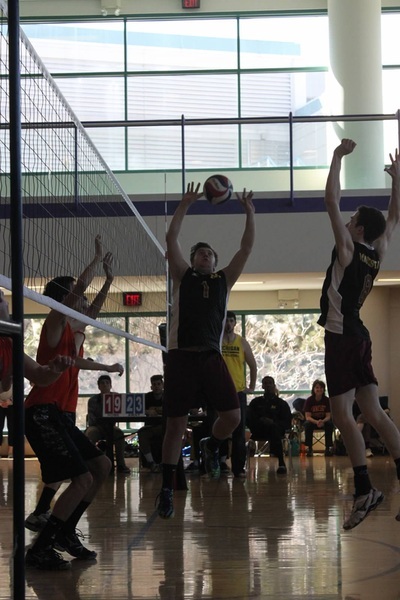 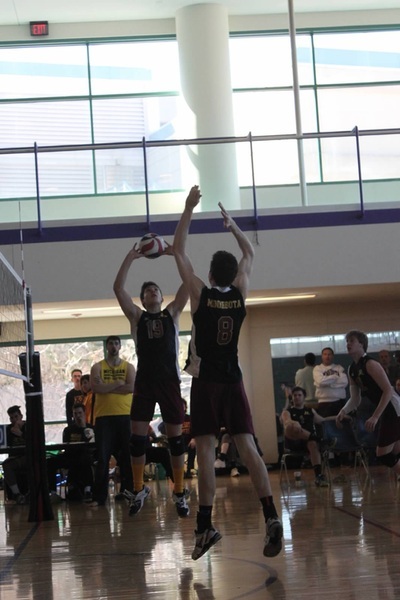 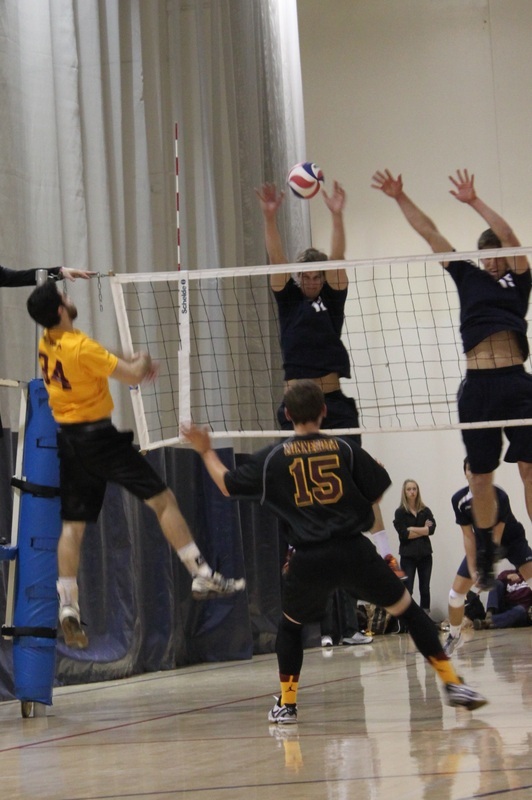 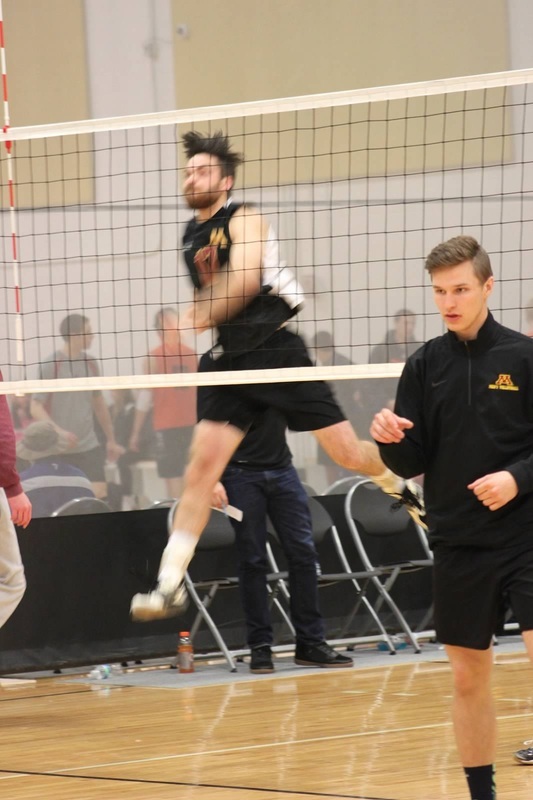 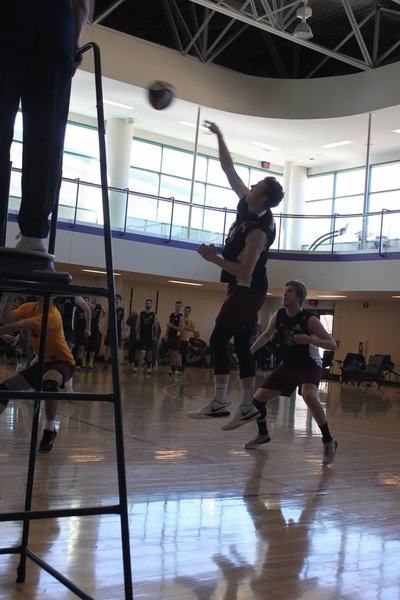 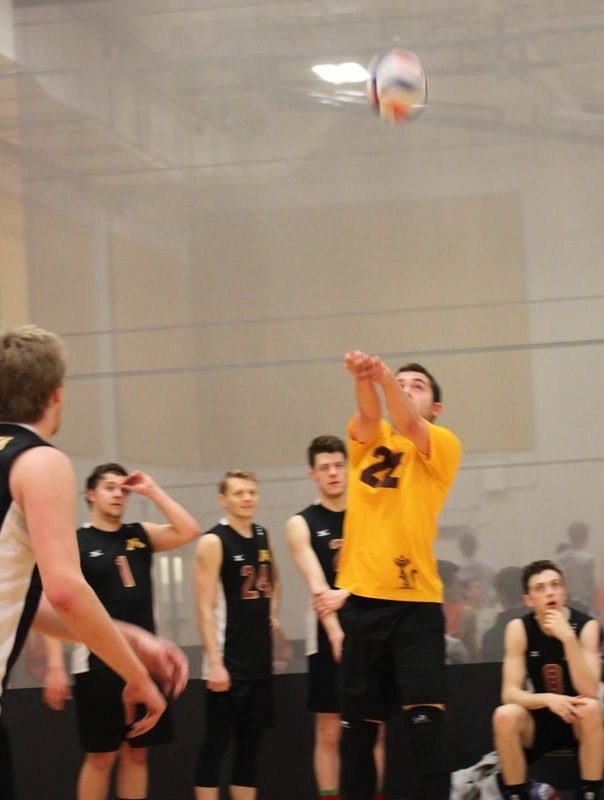 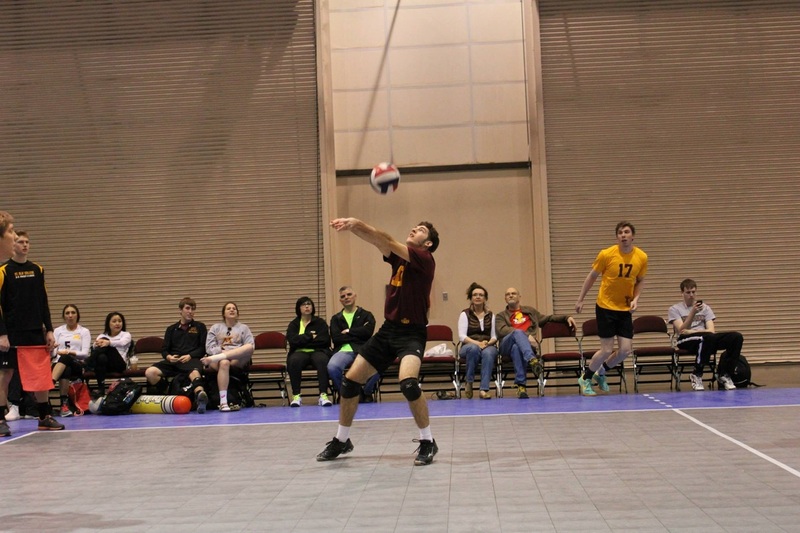 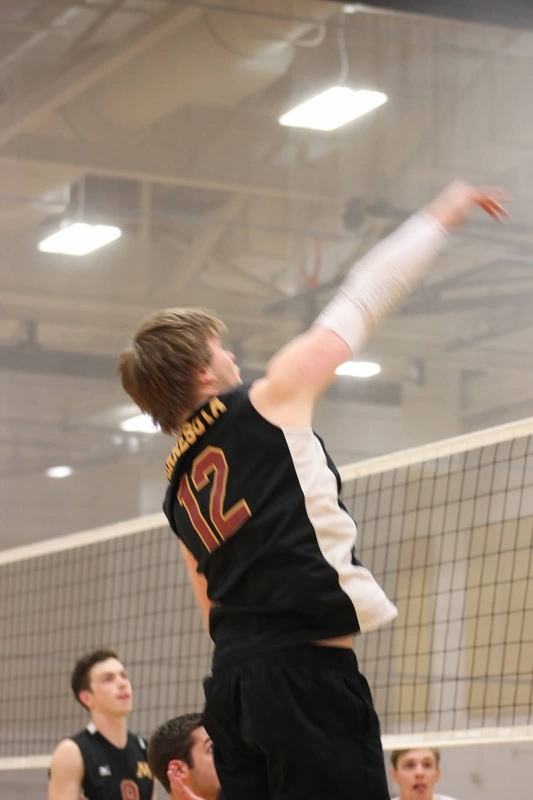 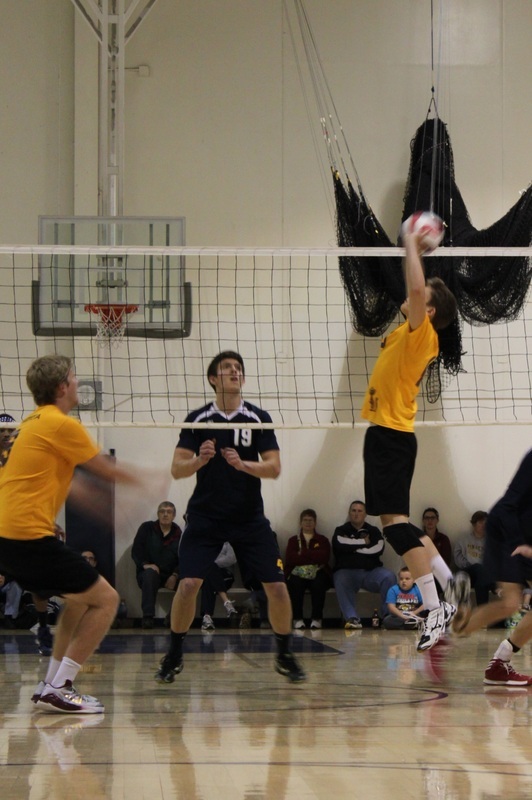 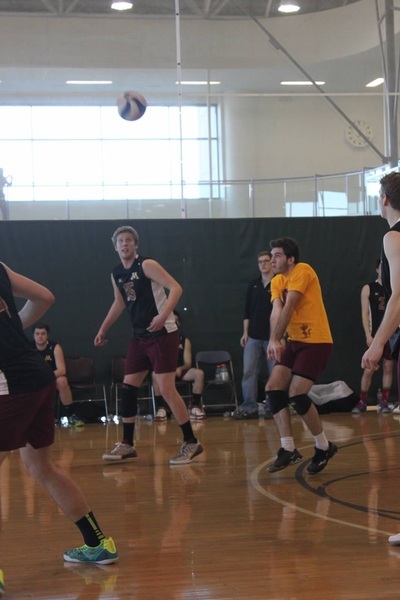 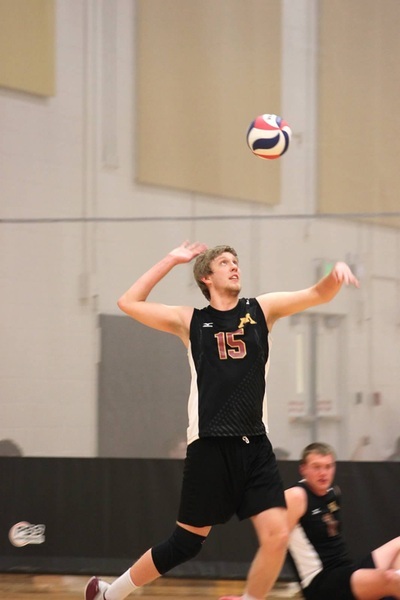 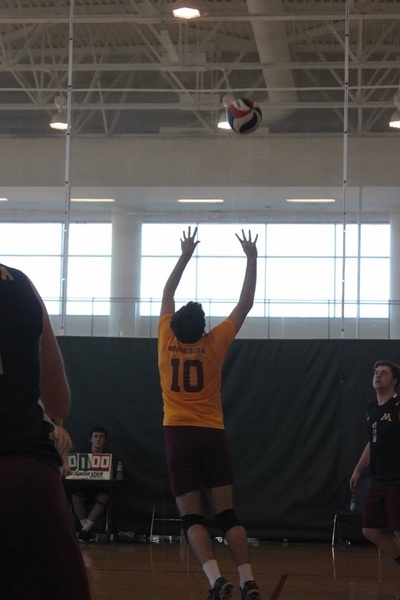 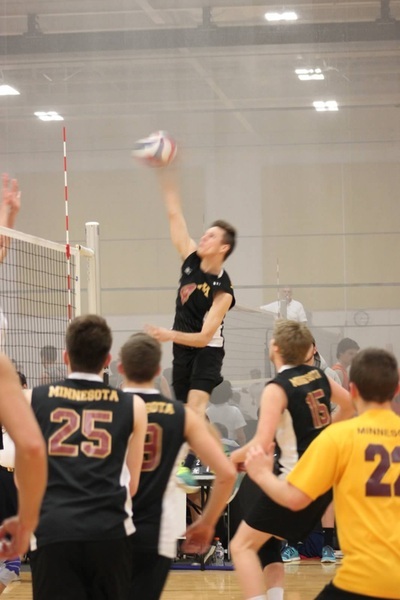 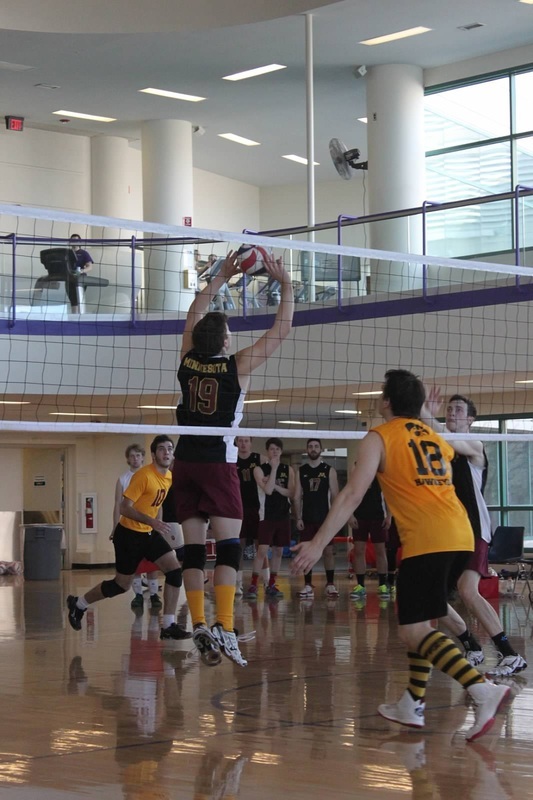 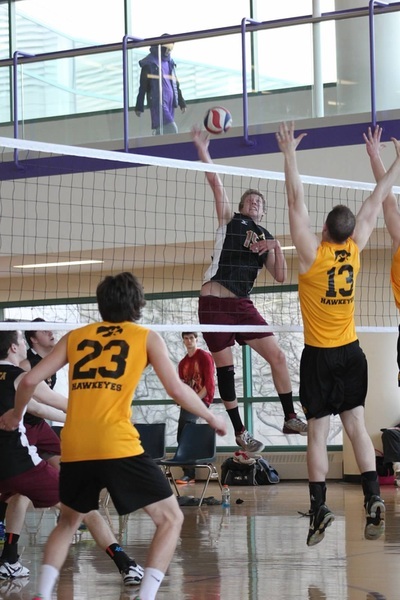 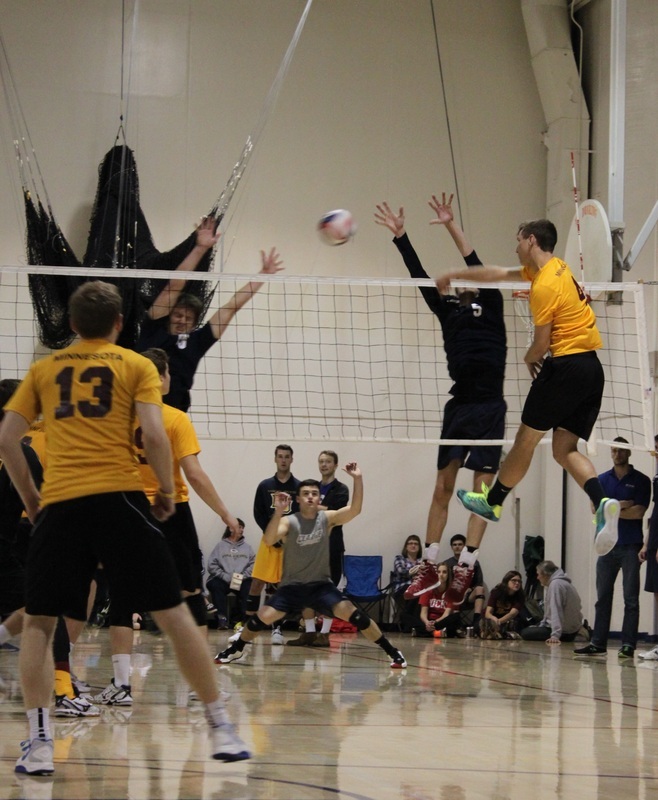 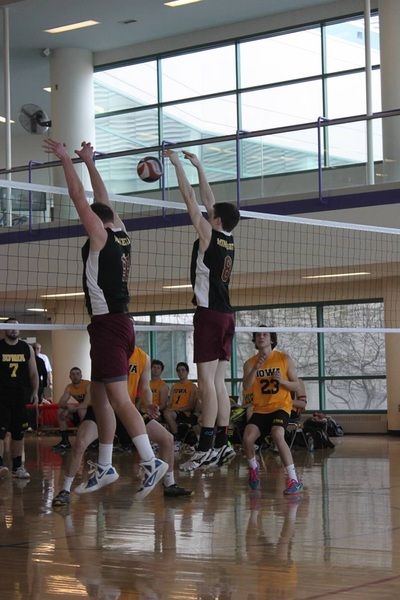 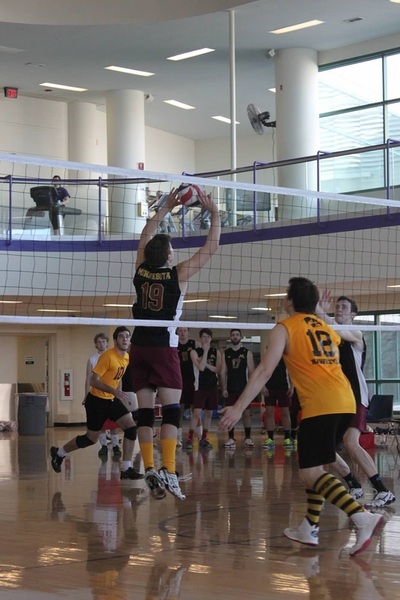 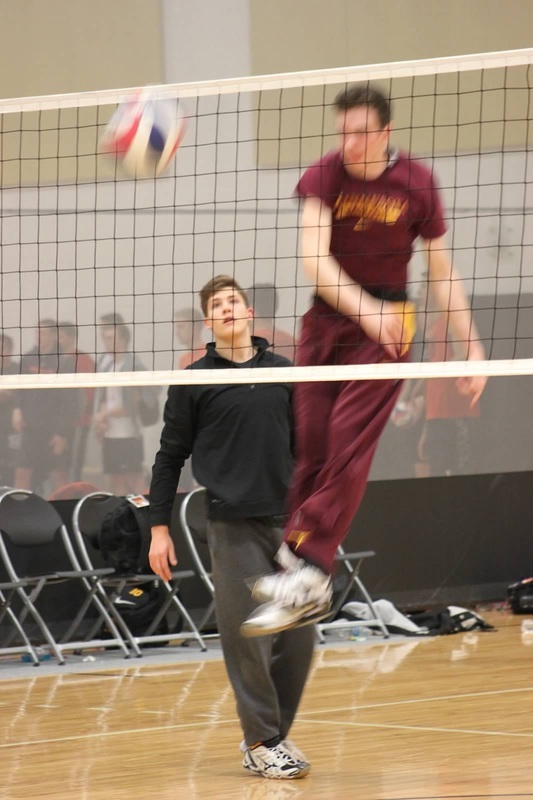 (L-R) Dan Hagemeier sets Sam Kraemer for the back row attack. 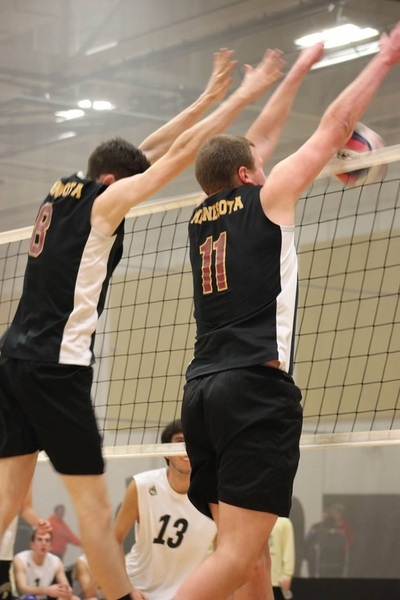 (L-R) Aaron Rudyan executes an out-of-system bump set to Tom Swallow. 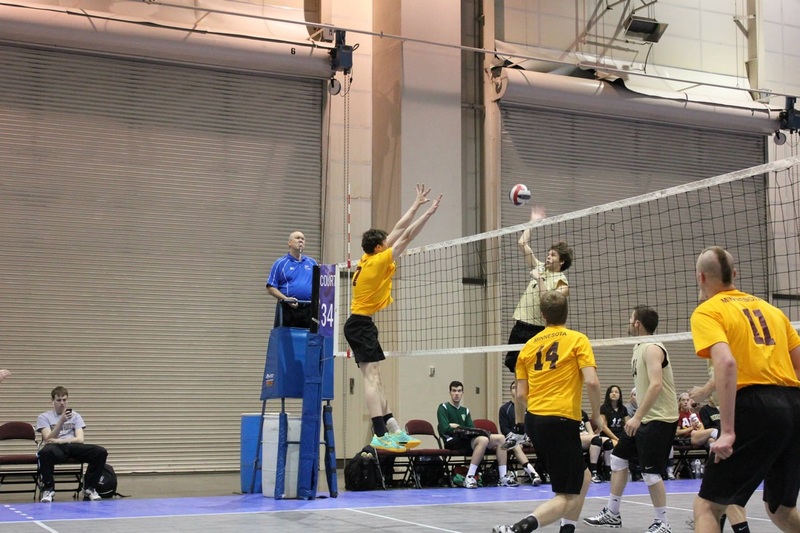 Tom Swallow puts up a block against Purdue. 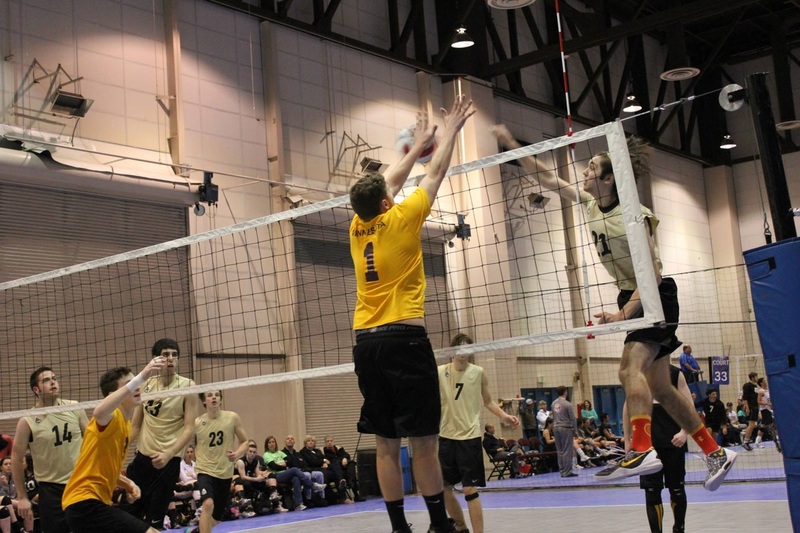 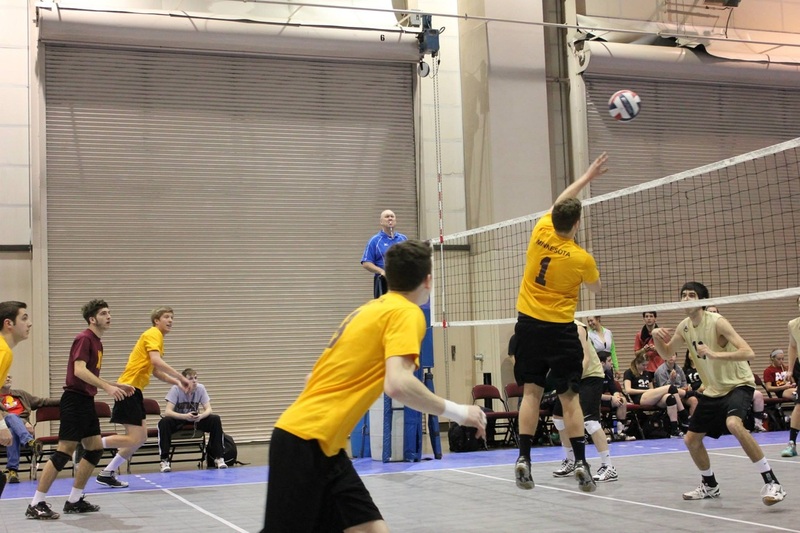 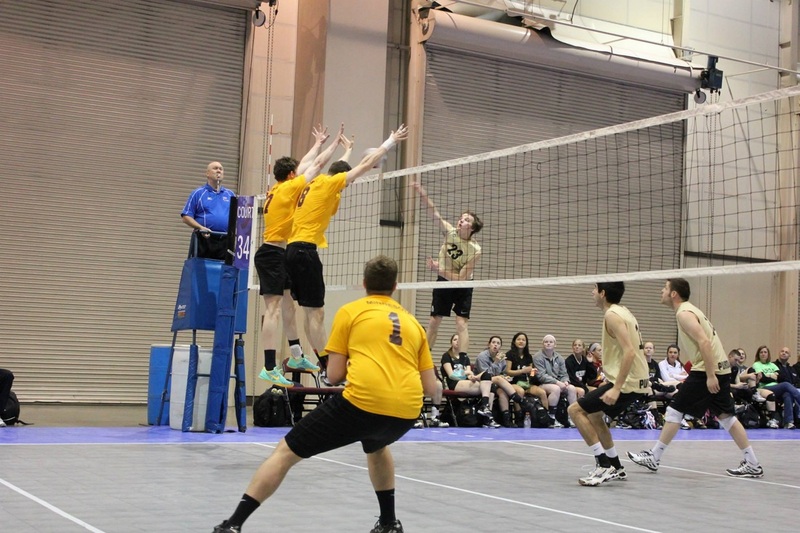 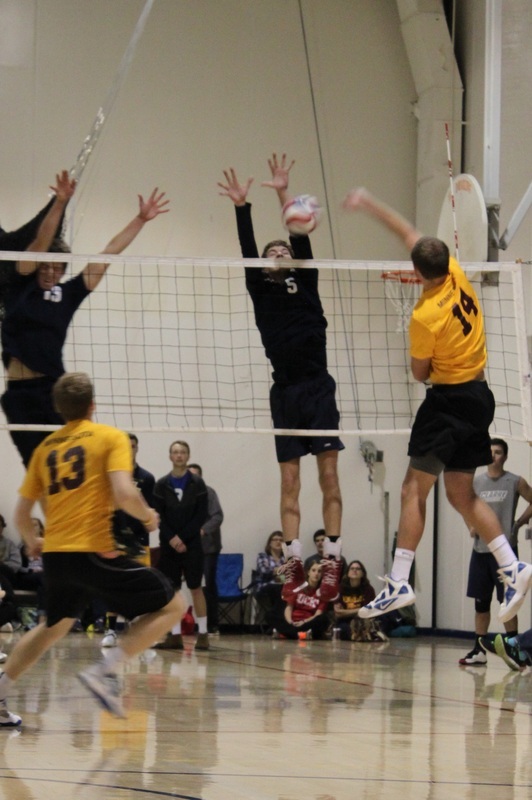 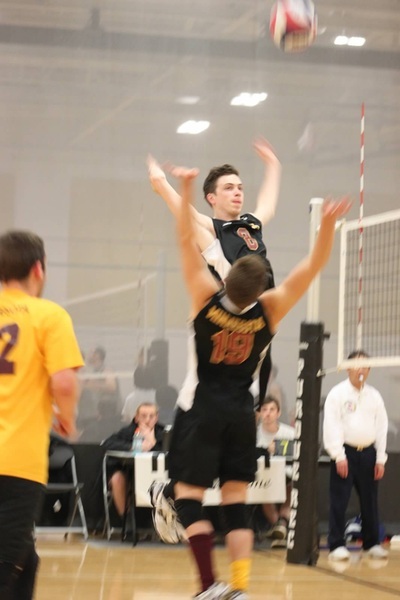 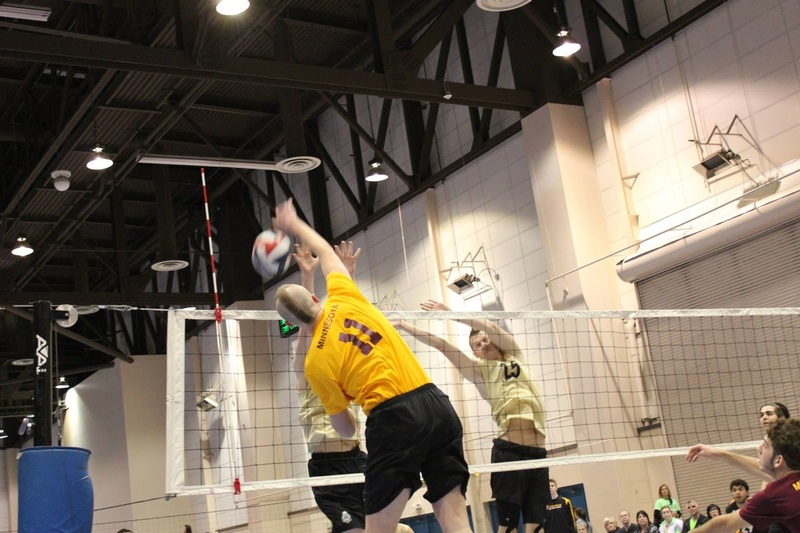 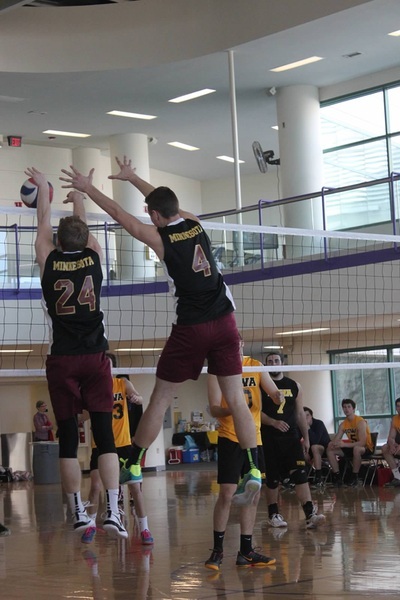 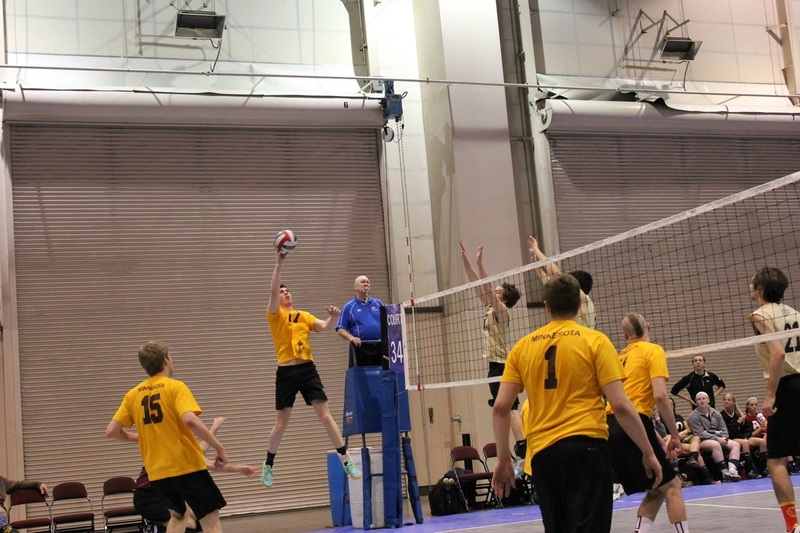 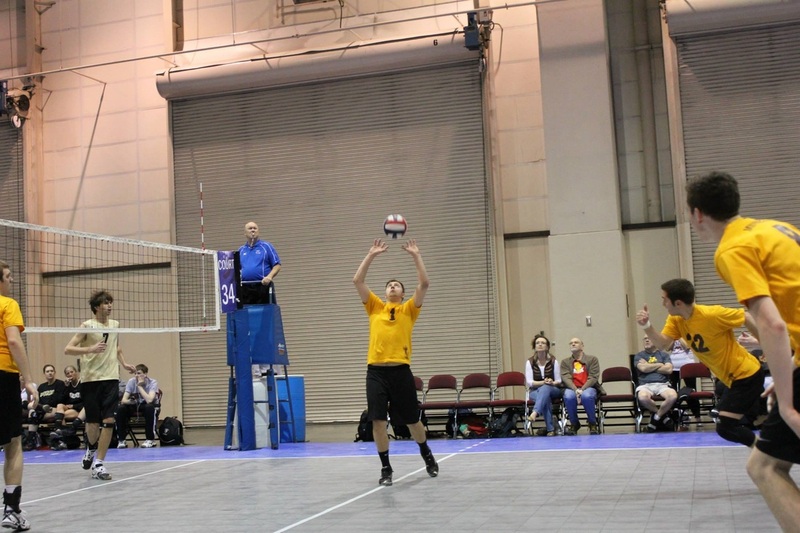 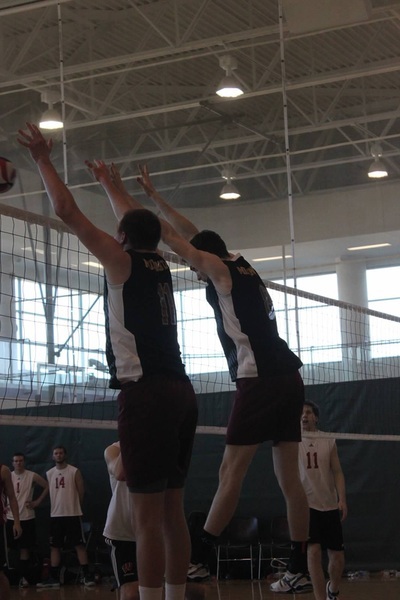 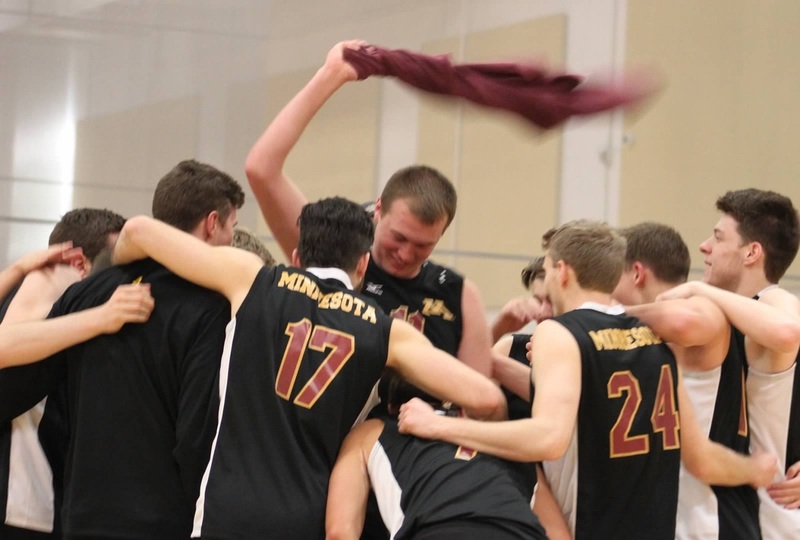 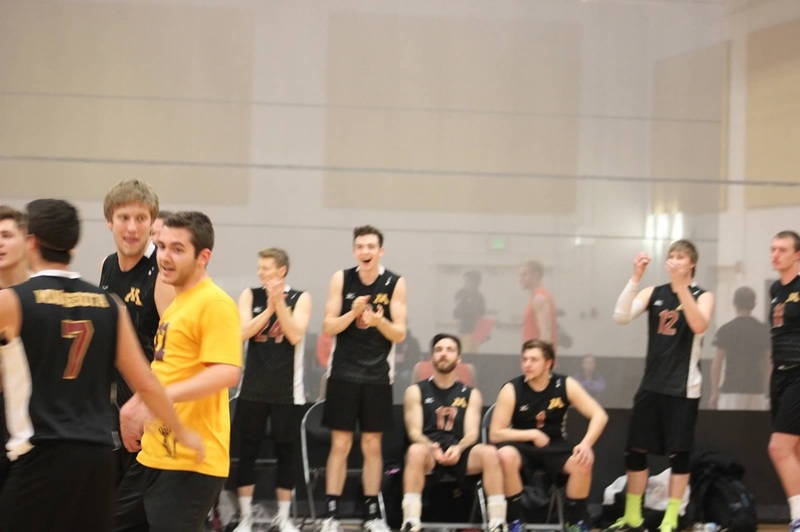 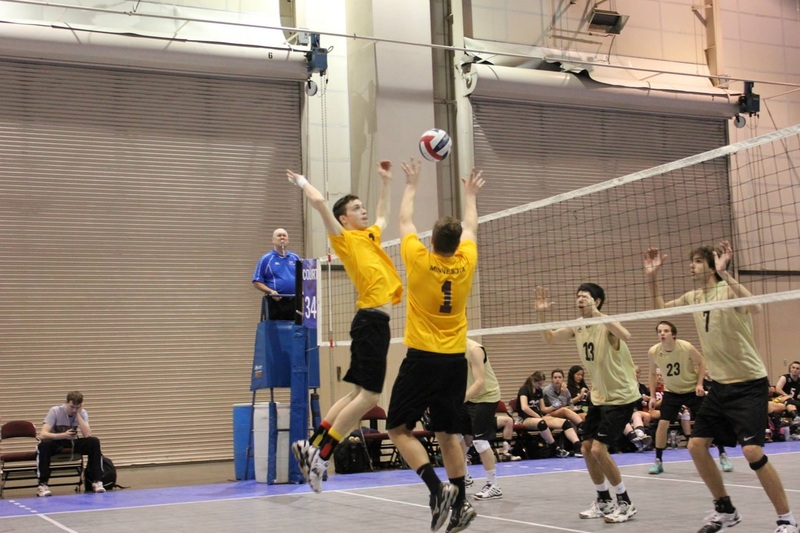 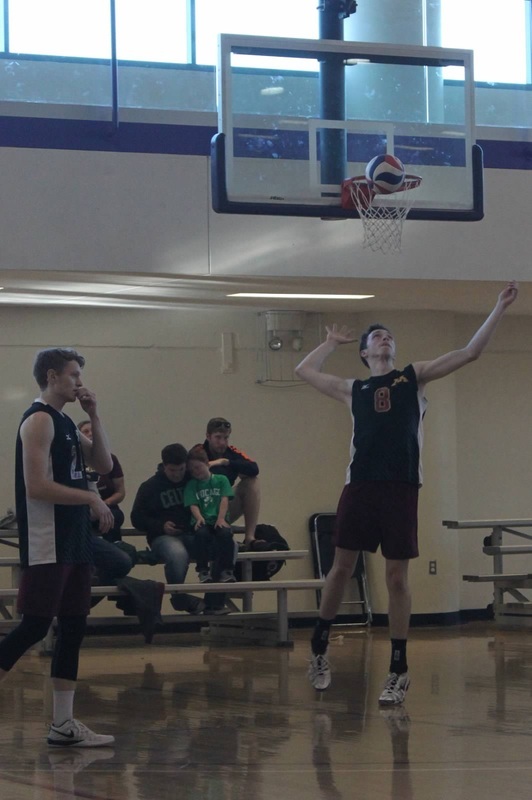 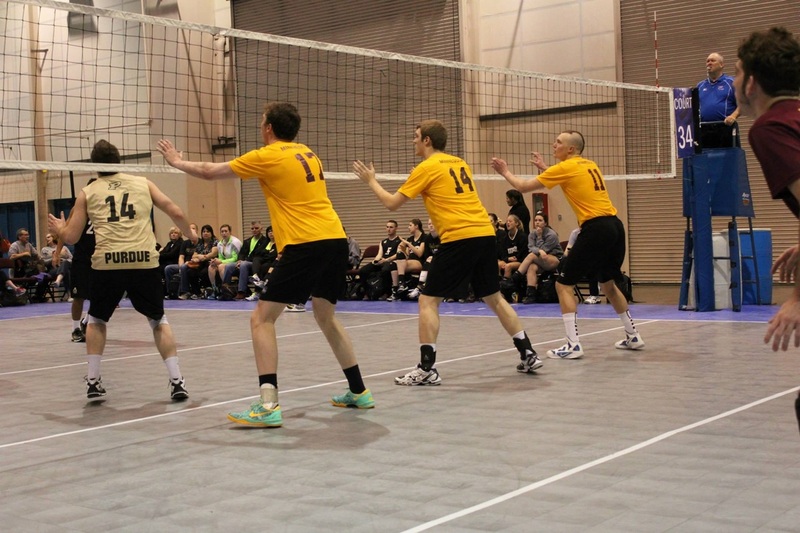 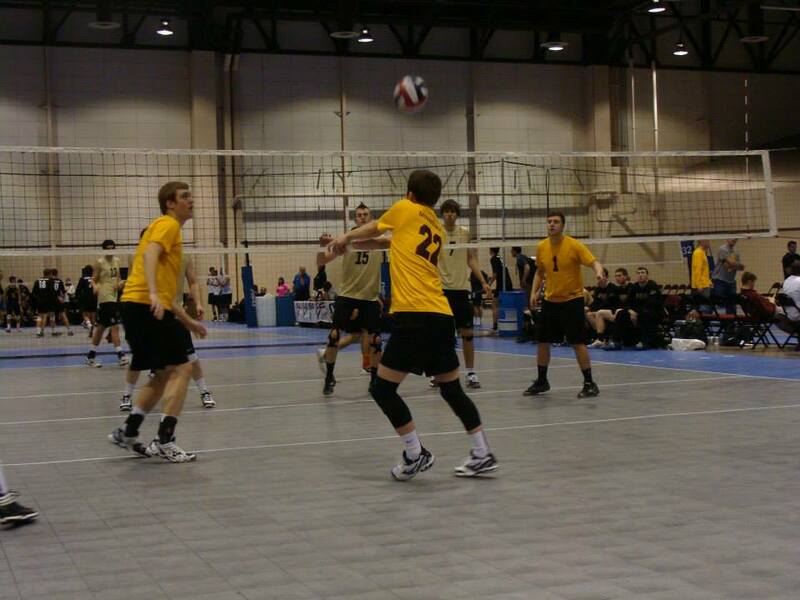 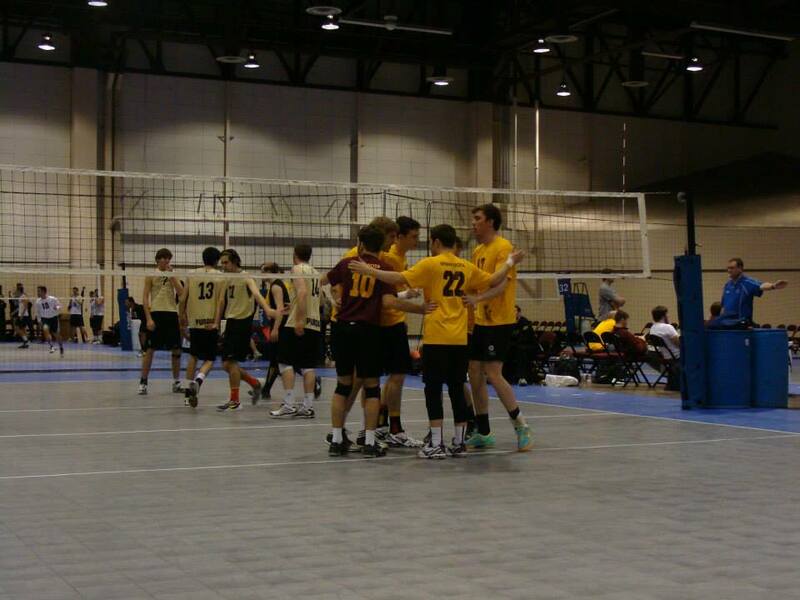 (L-R) Tom Swallow and Tim Lourich put up one of the bigger blocks you'll see as Dan Hagemeier positions himself for the dig. 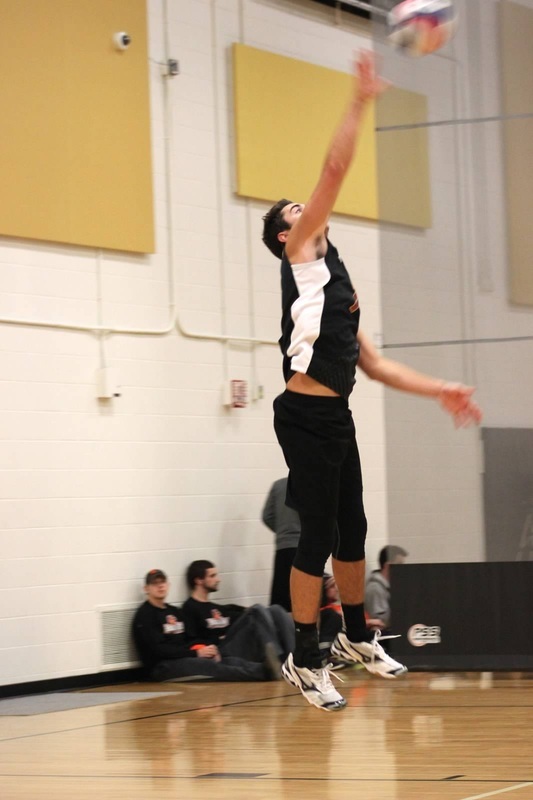 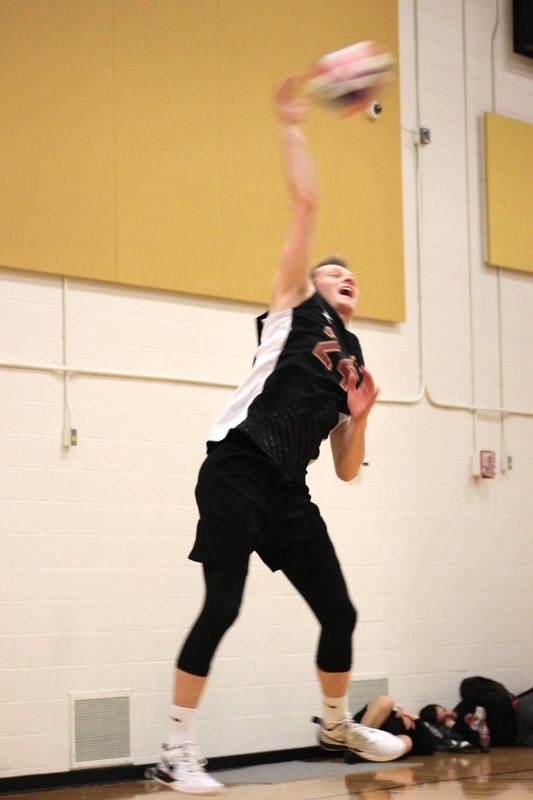 Sam Kraemer passes a serve. 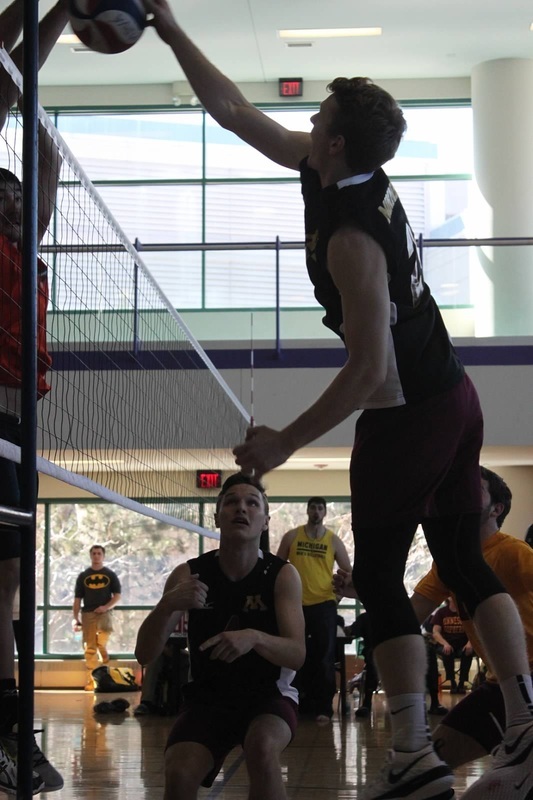 (L-R) Tim Lourich accepts the set from Dan Hagemeier. 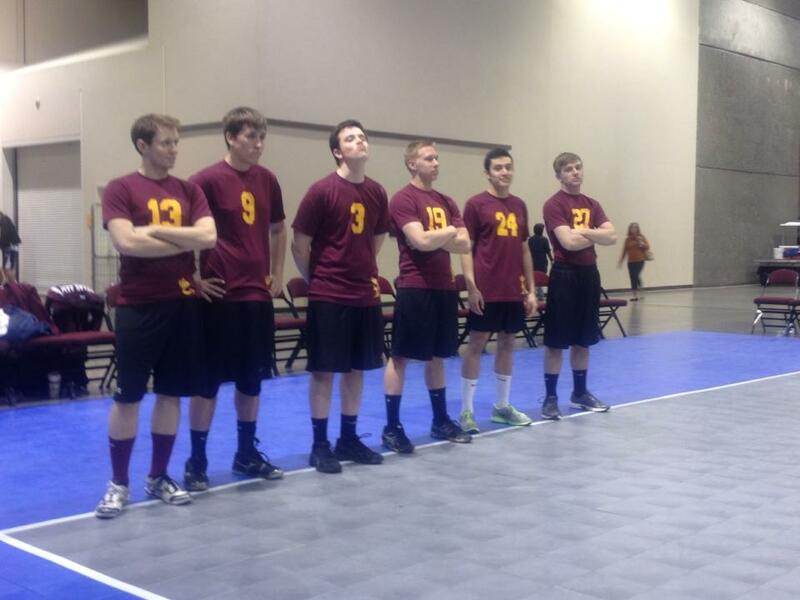 The B team prepares for battle. 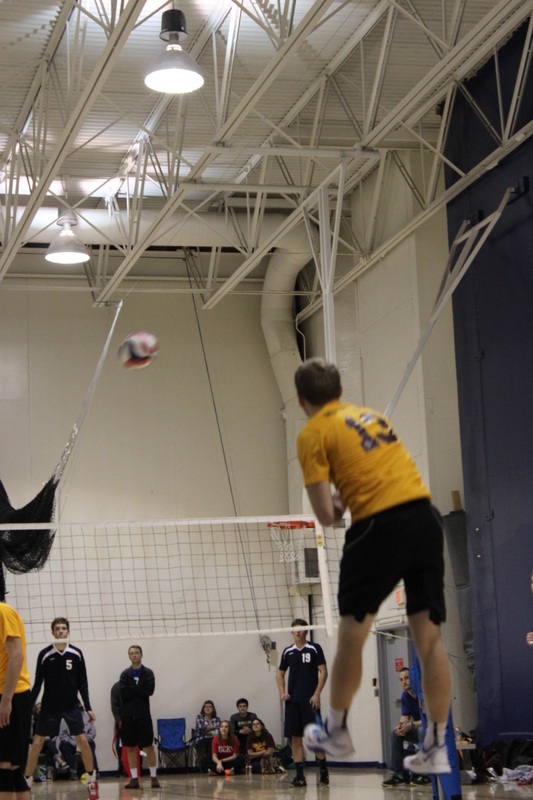 Dan Hagemeier with a rare dump. Dan Hagemeier puts up a hefty block against Purdue. 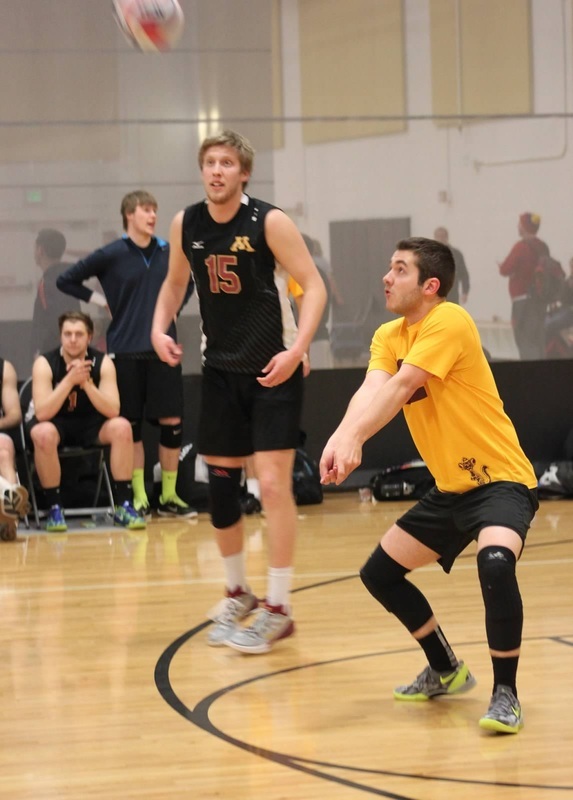 Tom Swallow strategically tips the ball. (L-R) Tom Swallow, Graham Bringman and Collin Klimisch prepare to block. 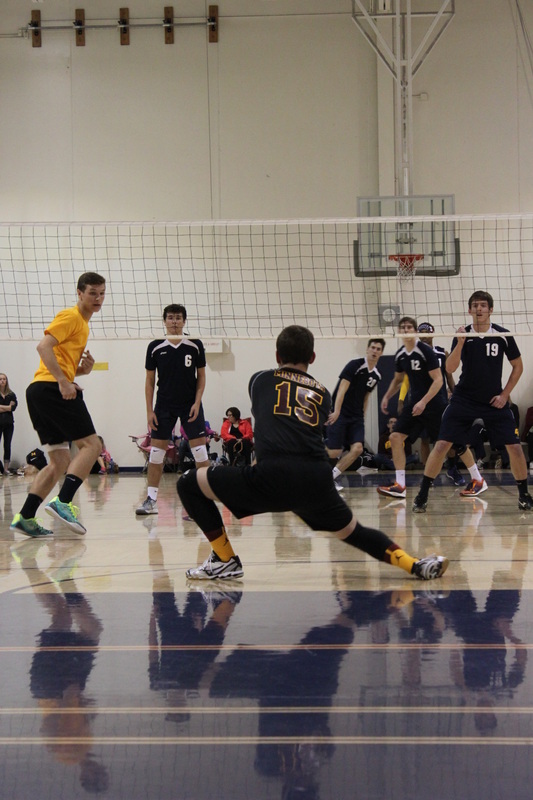 Collin Klimisch attacks on the outside pin.